Please send an email to info@bakali.co.za to order our products. Delivery time: depending on the region, 1-4 business days. Price, specification, and terms are subject to change without notice. Bakali is not responsible for errors in typography and/or photography. All parts come with original manufacturer warranty and technical support is handled by the respective manufacturers. Customer pays return shipping on all services. Bakali reserves the right to refuse service to anyone. – No COD orders please. – For international payment information, please contact us. Normally we do not accept returns unless the product is defective, except in special cases with prior management approval in which case a 15% restocking charge will apply. It is the customer’s responsibility to pay for all shipping cost involved with the return of an item/order. Shipping charges will not be refunded, unless an error was made by Bakali in shipping. Before returning an item, you must have an RMA number. Please login, call or email us to get RMA #. Shipping charges are non-refundable. You can expect your order to be processed within approximately one to two “business” days, provided the items are in stock and there are no problems with the payment verification. Bakali does not guarantee same day shipping. Orders will not be processed on weekends and holidays. Any items that are unavailable will be placed on back order, and the remainder of your order will be shipped. Please check our web site for the back ordered item’s estimated time of arrival. Please note that these dates are “estimates” and not guaranteed to arrive on that date. Bakali is not liable for any damage of the product caused by damage in storage or shipping. The product must be stored and shipped in cool area to avoid any risk of deterioration. You may request a change to your order, provided your order has not already been charged. Please call during business hour to change your order. Please always have your order number ready. 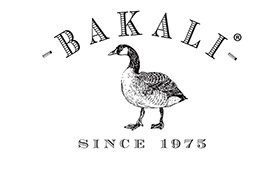 Bakali strives to be as accurate as possible in its product descriptions, compatibility references, information content, pricing, links and any other product information contained in or referenced on our site. However, occasional human error may occur and we therefore cannot guarantee that all product descriptions, specifications, pricing or any other content on the site is entirely accurate, complete, current, or that we are responsible for these errors. In the event that a product is listed at an incorrect price due to typographical, informational, technical or any other error, Bakali at its sole discretion shall have the right to refuse or cancel any order for that product and immediately amend, correct or remove the inaccurate information. Moreover, all links on Bakali’s website are intended only to provide visitors with assistance finding additional information and professional opinion; however, due to the fast pace of the industry, complex nature and personal subjective experiences, reviews can become outdated or less accurate over time or even at inception and should therefore never be the sole determinate in a purchasing decision, or, most importantly, a substitute for doing one’s own product research. Please remember to consider, you, our valued patron, are ultimately responsible for any purchase decision. Customer comments in regards to their experience with our products are the opinions of the user. The customer opinion reviews are used at the discretion of Bakali as a marketing device for positive and constructive ways to share the benefit of the product. It is not used as a source for negative commentary as we cannot endorse the validity of any negative comment. Therefore, the Bakali site is moderated to remove any unproven biased negative comments. It is not the intention of Bakali to mislead any customer and therefore all purchase decisions should not be solely based on the product review. By accepting delivery of any product delivered from Bakali, you (“Customer”) agree to be bound by the terms and conditions listed below. You and Bakali agree that the following terms and conditions are the exclusive terms governing the sales transaction between Customer and Bakali. Any attempt to alter, supplement, modify or amend these terms and conditions by the Customer will be considered a material alteration of this agreement and, therefore, are null and void. In addition, these terms and conditions are subject to change at any time, without prior written notice. Therefore, please check these terms and conditions carefully each time you place an order with or accept delivery of any goods from the Bakali. Bakali will not accept returns without prior authorization and a RMA number issued solely at the discretion of Bakali management. Once issued, RMA numbers are valid for 15 days within which returned products must be received by the Bakali. RMA numbers will not be extended or reissued. Customer should prominently display the RMA number(s) on the shipping label of boxes containing the returned product. Customer is solely responsible for shipping any returned product to the Bakali. Customer agrees to use only reputable carriers capable of providing proof of delivery and insurance for the entire value of the shipment. Customer agrees to bear all shipping charges and all risk of loss for the return product during shipment. Customer agrees that all returned products will be 100% complete, in re-saleable condition, and will include the original packaging material. Bakali will not refund to Customer the original shipping charges. In addition, Bakali reserves the right to charge a restocking fee on end of life and special order products. Bakali is a manufacturer only. Bakali MAKES NO REPRESENTATION OR EXPRESS WARRANTY WITH RESPECT TO THE PRODUCT EXCEPT THOSE STATED IN THIS DOCUMENT. Bakali DISCLAIMS ALL OTHER WARRANTIES, EXPRESS OR IMPLIED, AS TO ANY SUCH PRODUCT, INCLUDING AND WITHOUT LIMITATION, THE IMPLIED WARRANTIES OF MERCHANTABILITY AND FITNESS FOR A PARTICULAR PURPOSE, AND ANY IMPLIED WARRANTIES ARISING FROM STATUTE, TRADE USAGE, COURSE OF DEALING, OR COURSE OF PERFORMANCE. IN ALL CIRCUMSTANCES Bakali’S MAXIMUM LIABILITY IS LIMITED TO THE PURCHASE PRICE OF THE PRODUCTS SOLD. Bakali SHALL NOT, UNDER ANY CIRCUMSTANCES, BE LIABLE UPON A CLAIM OR ACTION IN CONTRACT, TORT, INDEMNITY OR CONTRIBUTION, OR OTHER CLAIMS RELATING TO THE PRODUCTS IT SELLS WHICH EXCEEDS THIS LIABILITY LIMIT. Bakali SHALL NOT BE LIABLE FOR THIRD PARTY CLAIMS FOR DAMAGES AGAINST THE CUSTOMER, OR FOR MALFUNCTION, DELAYS, INTERRUPTION OF SERVICE, LOSS OF BUSINESS, LOSS OR DAMAGE TO EXEMPLARY DAMAGES, WHETHER OR NOT Bakali IS APPRISED OF THE POSSIBILITY OF SUCH CLAIMS OR DAMAGES. Payment Terms Orders: An order is not binding upon Bakali until it is accepted; Bakali must receive payment before it will accept an order. Payment for product(s) ordered is due prior to shipment. Customer can make payment by EFT, or some other method prearranged with Bakali. You agree to pay the amount(s) due as specified on the invoice, and you agree to pay interest on all past-due sums at a rate of 1.5% per month or the highest rate allowed by law, whichever is greater. Shipping Charges: Your total cost for purchase of any product will include shipping and handling charges shown on Bakali invoice. Bakali will arrange for shipment of ordered product(s) to the Customer, Free On Board (F.O.B.) shipping point, meaning title to the product(s) and risk of loss passes to the Customer upon delivery to the carrier. Bakali reserves a purchase money security interest in the product(s) until its receipt of the full amount due. Customer agrees to allow Bakali to sign appropriate documents on Customer’s behalf to permit Bakali to protect its purchase money security interest. Bakali will advise Customer of estimated shipping dates, but Bakali will, under no circumstances, be responsible for delays in delivery, and associated damages, due to events beyond its reasonable control, including without limitation, acts of God or public enemy, acts of federal, state or local government, fire, floods, civil disobedience, strikes, lockouts, and freight embargoes. Any dispute arising out of or related to these Terms and Conditions or the sales transaction between Bakali and Customer shall be governed by the laws of the Republic of South Africa, without regard to its conflicts of law rules. Finally, the Customer also agree not to bring any legal action, based upon any legal theory including contract, tort, equity or otherwise, against Bakali that is more than one year after the date of the applicable invoice. These terms and conditions, together with Bakali’s invoice respecting the products ordered by Customer, are the complete and exclusive agreement between Bakali and Customer, and they supersede all prior or contemporaneous proposals, oral or written, understandings, representations, conditions, warranties, and all other communications between Bakali and Customer relating to the subject products. This agreement may not be explained or supplemented by any prior course of dealings or trade by custom or usage.